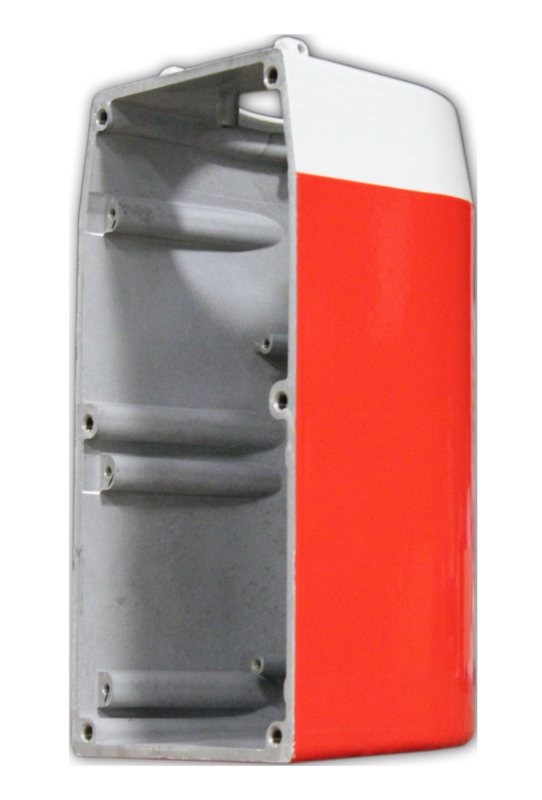 Powder coating is a totally dry finishing process used on a wide range of products. To complement our manufacturing facility here in Nottinghamshire we have built a powder coating plant which enables us to powder coat all our own products on the same site. Nottinghamshire is centrally located within the UK and has traditionally always been a manufacturing and industrial area supporting numerous powder coating companies over the years. 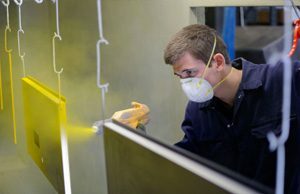 During the past decade, however with to some degree the decline in manufacturing in this area, many subcontract powder coating companies in Nottinghamshire have closed. We decided therefore to build our own factory and equip it with our own modern powder coating facility to allow us to powder coat our own products. Having this powder coating facility on site has proved to be very advantageous for us. I has not only allowed us to take in subcontract powder coating from other companies within Nottinghamshire but has significantly reduced our transport costs and lead-times for all the products we manufacture. It had reduced damage to products in transit by reducing the distance covered to finishers from 20 miles to a few hundred meters. 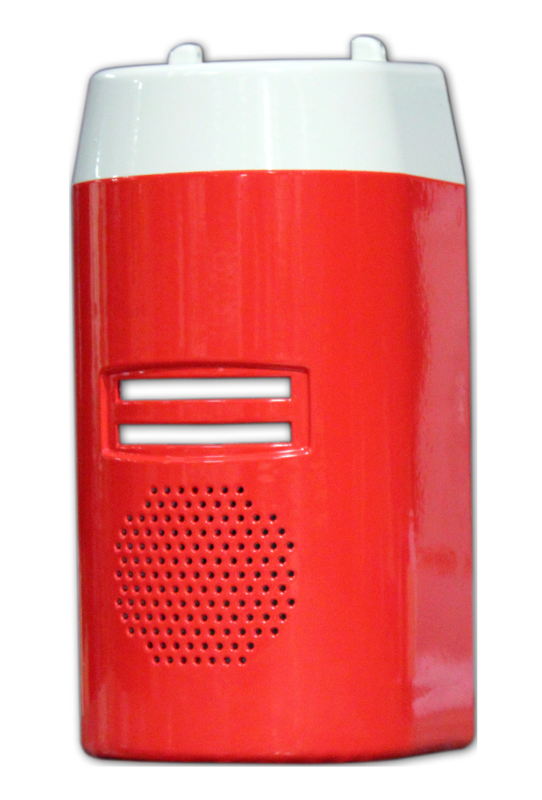 Powder coating looks like a traditional Paint finish but a good and well applied powder coat finish is a little like Armour. It’s tough, looks fantastic and, if looked after it will last a long time. 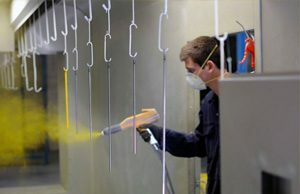 Powder coating is an excellent finish found on thousands of products some of which we meet on a daily basis. It lets us make products hard-wearing, good-looking and scratch-resistant, using a relatively simple process. The range of colours and textures available make powder coating a popular choice of finish for designers and manufacturers alike. Using special applicator guns, the fine particles of powder are given up to 100,000 volts of positive static charge and sprayed onto the surface that is being coated. A primer coat is usually not necessary as most standard colours are a one coat process, which makes it simpler and much more cost effective for the consumer. The parts to be coated are electrically earthed so the charged particles adhere until melted and fused into a solid coat in a curing oven. Because the powder and the part being powder coated have opposing electrical charges, the dry powder sticks to the surface of the part. This attraction pulls the powder into all corners and awkward spaces difficult to reach with wet techniques. It is very much like the static cling you experience when pulling on a nylon sweater. The parts pass in front of the operator along an overhead conveyor where the powder is applied as described above. The parts when coated with powder continue along the conveyor where they pass through a tunnel oven and bake for approx. 10 to 15 minutes at 200 degrees. While in the oven, the powder is fused into a smooth coating with a consistent, heavy-duty and high-quality finish, without runs or drips. Parts then continue along the conveyor, exiting the tunnel oven where they cool and are removed, inspected and packed ready for dispatch. Unlike a painted process, powder coated items are cured and ready to go as soon as they have cooled. With this process, there is little waste, and so it is more cost effective than wet paint. Unlike paint, modern powders have no Volatile Organic Compounds, and are comparatively harmless to the environment. The excess powder is collected and reused. 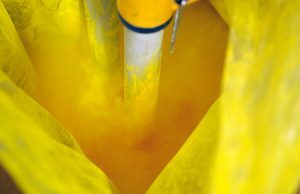 With powder coating, there is very little hazardous waste to store or dispose of. As well as powder coating our own products we are delighted to extend our quality powder coating services. 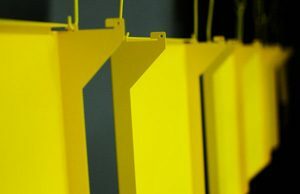 We offer high quality, quick and efficient powder coating services across the Nottinghamshire area, East Midlands and further afield. If you think that our services may be of interest, please do not hesitate to get in touch.